BomaiCruz will be spending a lot of time this year out on oceanic cruises. Internet accessibility might not be great on most of these cruises but I will do my best to keep you all posted in this short time out. For starters, here is a taste of what my day is usually like. I am currently working with a team of scientists doing environmental studies around selected sites. I am not able to disclose information on the study sites just yet but I can tell you a little bit about what we are doing. For this leg of the cruise, we are doing a near shore coral reef and fish survey. Our targets are locations close to human settlement so we can get an idea of the impacts of humans on these reefs and the fish life there. To be brief, I can say that what we are seeing is not good. 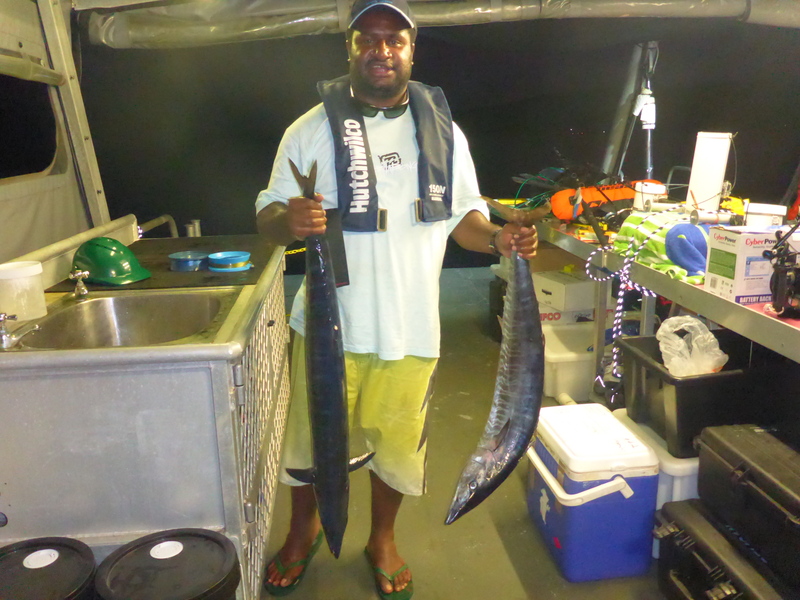 This entry was posted in Marine Biology, PNG, Science, Tourism and tagged Acanthocybium solandri, Wahoo fish. Bookmark the permalink.